Above - The Third Goodman's Fields Theatre, Great Alie Street, London in 1801 - From 'London Town Past and Present' Vol 2 by W. W. Hutchings 1909. There were three Theatres by the name of the Goodman's Fields Theatre, all situated on Great Alie Street in Whitechapel. The first Theatre with this name opened on the 31st of October 1727 and was situated inside a shop owned by Thomas Odell who was the deputy Licenser of plays at the time. This Theatre continued into the 1730s under the management of Henry Giffard, but after he left in 1736 to take up the Theatre Royal in Portugal Street, Lincoln's Inn Fields, the Theatre was turned over to other uses. The second Goodman's Fields Theatre was built further down the street from the first and was opened in 1732. An image of this Theatre can be seen on the 'Admission Check' shown below. Above - Both sides of an 'Admission Check' for the Pit of the Goodman's Fields Theatre - Reproduced in the book 'Shakspere to Sheridan' by Alwin Thaler in 1922. 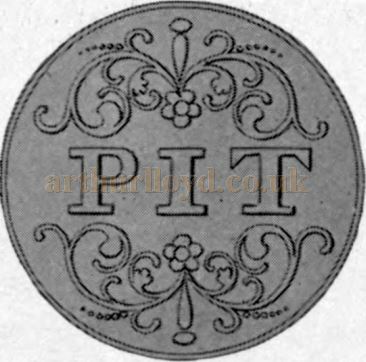 The caption stated that the check showed the only known contemporary image of the Theatre where Garrick made his first appearance in 1741. T his Second Theatre is said to have been where David Garrick made his first appearance on the public stage, in the character of Richard III in 'The Life and Death of King Richard the Third' in 1741. (See advertisement right). Right - A Newspaper Advertisement, published on October the 19th 1741, for a production of the play 'The Life and Death of King Richard the Third' at the Goodman's Fields Theatre. This is said to be David Garrick's First Appearance in a Theatre - Reproduced in 'Shakspere to Sheridan' by Alwin Thaler, published in 1922. This Theatre closed in 1737 after the passing of Sir Robert Walpole's Licensing Act but was reopened in 1740. 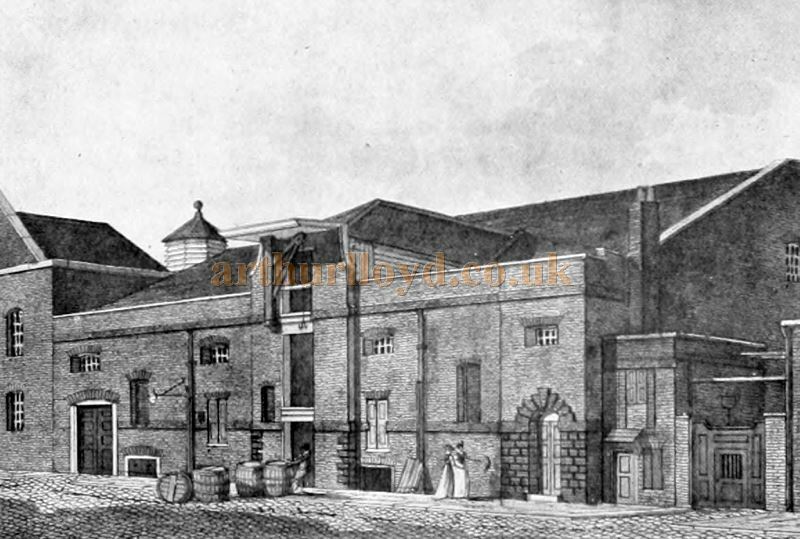 However, this second Goodman's Fields Theatre closed altogether on the 27th of May 1742 and was demolished in 1746. 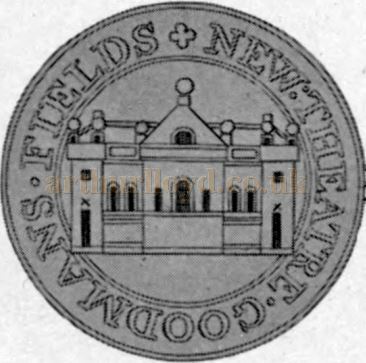 The third Theatre with the Goodman's Fields name was situated on the site of the second and can be seen in the illustration at the top of the page. The Theatre was however, eventually converted into a warehouse, and then destroyed by fire in 1809, and that proved to be the end of the Goodman's Fields Theatre.